Four-hour sightseeing tour offering Kossúth Square and Parliament building, St.Stephen’s Basilica, the Opera House, Heroes’ Square with the Millenary Monument, the Museum of Fine Arts, Art Gallery, Vajdahunyad Castle, Zoo, Amusements Park, Gellért Hill with the Citadell, the Castle District and the Matthias Church. In addition to the sights in the half-day sightseeing, a stroll in the historical Castle District, visit to the National Gallery (collection of Hungarian painting and renowed works of art). Refreshments in a romantic pastry shop. Light and classical music concerts, opera, the venues of Budapest Spring Festival, folklore events, dinner with wine-tasting and folklore program, wine-tasting in a cellar, disco, visits to youth clubs, fun-fair, swimmingpools, spa, boat trips on the Danube, visit to the Pálvölgy stalactite caves, night clubs. Boat trip accompanied by a one-hour film to see the illuminations of Budapest. As the boat sails past the buildings along the Danube Embankment, guests can see the sights of Budapest on film. (The program can be heard in 12 languages with earphones). The program can be ordered from 1 June to 30 September. Guests can admire the unique setting of Budapest, with a ride on the chair-lift and the children’s railway. Lunch in a tradicional small restaurant. Visit to an industrial plant, agricultural cooperative or institute. Lecture, demonstration. Refreshments on request. Organization of friendly meetings or matches in any sport (ball games: football, handball, basketball, etc.). Refreshments served. Visit to Esztergom, the oldest Hungarian royal seat and church centre (Basilica, Christian Museum, Treasury). Guests can admire the breath-taking panorama of the Danube Bend from above Visegrád. Visit to Szentendre, a town steeped in the atmosphere of the Middle Ages. Hungarian lunch. Program can be ordered throughout the year. Half-day excursion by bus to the captavating small Baroque town of Szentendre, one of the centers of the Hungarian fine arts. Visiting the Museum of Margit Kovács, the Ferenczi Museum and the Open Air Village Museum. This program is available all year round. The town can be reached also by a commuter train. Full-day excursion to the north shore of Lake Balaton. Visit to the famous Tihany Abbey. Badacsony. After lunch, bathing if the weather is fine. Wine sampling in a romantic inn in the Balaton wine region on the way back. Program can be ordered from 1 April to 31 October. Guests are welcomed with a drink in the cellar of the Patkó Inn in Tök. Horse show, horsherds’ demonstration, five-in-hand, stampeding the herd, opportunity for riding and carriage rides (sleigh rides in snowy weather). Lunch with wine sampling accompanied by Gypsy music in the inn. Programm can be ordered throughout the year. Guests see a high-standard presentation of folklore, a tradicional peasant wedding feast in the village’s favourite inn. Entertaining recreation of a big family celebration with lots of fun. The copious wedding supper is served to the accompaniment of traditional sayings. Program can be ordered throughout the year. The detailed programs in Kunpuszta, Kunszentmiklós see under the ’Great Plain’ heading, horse show. The scenic beauty of the Danube Bend by boat. Visit to the sights of Esztergom (Basilica, Christian Museum, Crypt). Refreshments served on the boat. Visit by coach to the mediaeval Hungarian royal seat (Royal Palac e, Salamon’s Tower). Panorama of the Danube Bend from the Citadel. Szentendre, a small town founded by Serbs, a place where many artists work and live. 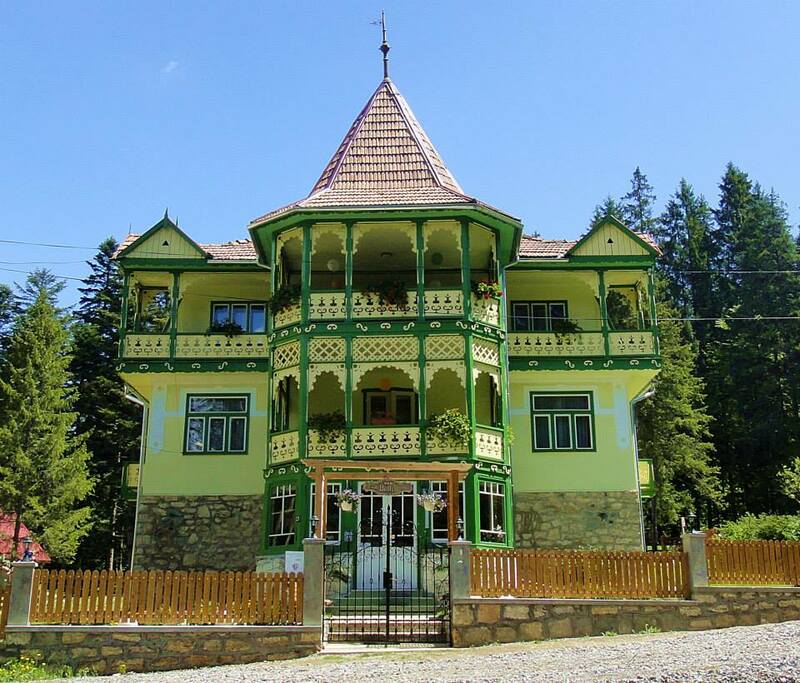 The oldest holiday centre of Express, completely refurbished and modernized in 1990, is located at Verőcemaros on the left bank, at the foot of the Börzsöny Mountains. Set in the natural environment of a 46-hectare park, the Epress holday village offers opportunites forrest and recreation. The castle tournament held for guests in the court of the royal palace in Visegrád, 14thcentury capital of the Hungarian kings, the most beautiful spot in the Danube Bend, revives the age of chavalry (archery duels, elopement). The program can also be combined with lunch. Program can be ordered throughout the year. The “Hungarian sea” is the largest lake in Central Europe (598 km2). The average depth is 3-4 metres but it is relatively shallow along the shore, especially on the south side, with a sandy bottom, making it an ideal place for family holidays. In addition, the temperature of the water is around 20-26 C from mid-May to mid-September. The settlements along the north shore with their many historic monuments and natural beauties and the fanizs wube reguib aksi attract naby vusutirs. 80 apartments. Restaurnt, brasserie, own beach, tennis court. Supervised car parking. The International Holiday Centre the edge of Balatonudvari on the north shore of Lake Balaton near the picturesque Tihany peninsula, is located right beside the lake and has its own sandy beach. 158 rooms with bath, radio, TV (with satellite programmes), telephone, refrigerator. Air-conditioned restaurant and coference room, tennis court, fittnes centre, sauna. Car park. 40 rooms with bath, 160 rooms with shower radio, TV (with satellite programmes), telephone, refrigerator (in 40 rooms). Restaurant, cocktail bar, night bar, own garden, open-air pool, tennis court, sauna, solarium. Supervised car parking. 320 rooms with bath. Restaurant, brasserie, cocktail bar, night bar, own beach, tennis court, fitness centre. Supervised car parking. The hotel is located right on the shore of Lake Balaton and has its OWN BEACH set in gardens. H-8313 Balatongyörök, Petőfi u. 5. H-8600 Siófok, Erkel F. u. 53. 330 rooms with bath, 160 Danish timber cabins, radio, TV (with satellite programmes), telephone, minibar, refrigerator. Restaurant, brasserie, winebar, cocktail bar, night bar, conference room, own beach, swimming-pool, tennis court, fitness centre, billiards, squash, volleyball, KID CLUB. Own car parking. H-8230 Balatonfüred, Deák F. u. 25. 388 rooms with bath, radio, TV (with satellite programmes), telephone. Restaurant, brasserie, cocktail, night bar, own garden, own beach, covered and open-air pools, sauna, solarium. Supervised car parking. 25 rooms with bath, 27 two-rooms suites, radio, TV (with satellite programmes), telephone, minibar. Restaurant, night bar, conference room, own b each, tennis court, fitness centre. The communal areas are air-conditioned. Supervised car paking. H-8230 Balatonfüred, Széchenyi u. 26. 349 rooms with bath, radio, TV (with satellite programmes), telephone, refrigerator in some rooms. Restaurant brasserie, cocktail bar, night bar, own garden, own beach, covered pool, tennis court, sauna, solarium. Supervised car parking. Visit to the old royal town of Veszprém Castle Hill, Gizella chapel, Bishops’ palace, James church). Visit to the museum of the famous porcelain factory. Guests are welcomed on one of the wine-growing hills in the historic wine region to join in the vintage. Picking and pressing grapes, tasting the juice. The cheerful work is followed by a well-deserved lunc or supper in an inn, with a folklore performance. Program can be ordered in September and October. Coah trip to Keszthely, the “capital” of Lake Balaton (Festetics mansion, Georgikon farm museum) and Hévíz, Europe’s largest hot water lake (thermal bathing). Keszthely – Visit to thes Festetics Chateau. Hévíz – Bathing in the thermal lake. Badacsony, Tihany – Visit to the Abbey, walk in Balatonfüred. The programme may be ordered with or without lunch included. The festie peasant wedding table is set up in the courtyard of an inn at Lake Balaton. The dances of the ceremomy, traditional Hungarian sayings and games and the traditional bride’s dance are presented on the outdoor stage, followed by a gala supper. Program can be ordered from 1 May to 31 October. Sáripuszta is located a few kilometers from Lake Balaton.Guests are welcomed with brandy and Hungarian scones, the visit the stud farm watch the stampeding of the herd and the Koch five -in –hand and enjoy carriage rides. Visit to the blacksmith’s forge with a demonstration of horseshoe making and horse shoeing.Lunch or supper, folk dance performance.Program can be ordered from 1 May to 31 October. Guests are welcomed with a drink at the log tbles of the Ménes Inn then ride in carriages to the track. One-hour horse show-Koch five-in-hand, carriage demonstration, horseherds’ tableaux, folk horse games. After the show a visit to the exhibitions in the farm centre (aquarium, folk art, painting, Kőhegy vineyard). Program can be ordered from 1 May to 31 October. Enjoy a glass of champagne or just rela for an hour on board of sightseeing boat on the lake Balaton. The bride is welkomed in the Pegazus Inn at Szentbékkálla with brandy, a carriage, the ringing of bells and singing.Dances and traditional sayings are followed by tasty outlaw’s supper and then the bride’s dance. Program can be ordered from 15 March to 10 November. The main course will be a lamb or a piglet roasted on the spit prepared according to the old recipe in the open air in wood burning oven. The fish dishes will be prepared from fresh fish directly from the Lake Balaton. Boath to your lunch and dinner taste the famous wines of the region. A gipsy band provides for the entertainment while you enjoy your meal. Sopron (Inner City – Goat churc, Storno house), Fertőrákos (stone quarry). Fertőd (Eszterházy mansion), Nagycenk (Széchenyi mansion and museum). Kőszeg (historic town and its monuments, visit to the Jurisich Castle). Szombathely (remains of the Roman town of Savaria: Iseum, ruins), Ják (13th century Romanesque church), Sárvár and Bük (thermal bathing), visit to the Őrség ethnographic region. Győr, the city of four rivers (Herma of St. Ladislas – one of the masterpieeces of medieval handcrafts, baroque cathedral, Pharmancy Museum). Visit to the famous church library and art gallery in the 12th century Pannonhalma Abbey built on Castle Hill. Visit to the baroque abbey churc and the former Cistercian abbey in Zirc. Stroll in the arboretum. Pécs (visit to the Cathedral, the mosque of Pasha Hassan Yakovali, Vasarely Museum), Siklós (visit to the 15th century border fortress), Harkány (thermal spa resort), Mohács (visit to the National Historic Memorial Site). Visit with an expert guide to the winery of the Pannonvin Rt. in Villány, Hungary’s southernmost region with a Mediterranean atmosphere. Visit to the wine museum, wine sampling followed by Hungarian nacks. Program can be ordered throughout the year. Horse show in the excursion centre of the Gemenc nature reserve (puszta five-inhand, jumping, horseherds’ displays, pony show). Carriage rides followed by adelicious Hungarian lunch. Program can be ordered from 1 May to 31 October. Hungary’s first capital, royal burial place in the Middle Ages (remains of the mediaeval town wall, gothic Anna chapel, baroque churches, rococo pharmacy museum). A few kilometres from Székesfehérvár, at Tác, the excavated ruins ofthe lst-2nd century Roman town of Gorsium can be seen. This region offers unforgettable experiences for guests in search of natural beauty. Although the Mátra and Bükk mountains are only rarely suitable for skiing, they are ideal for hiking and excursions with their caves and waterfalls. The vines cultivated in the Northern Mountains produce the famous Eger and Tokaj wines. Folk traditions are still preserved in many parts ofthe region and the local people are happy to present them for foreign visitors. Guests are welcomed in the Wine Museum Restaurant of the Mór State Farm for a short talk on the past and present of the historic wine region. This is followed by a visit to the farm’s cellars. A pleasant meal, wine tasting (five different wines) and on request, also election of a wine general. The program can also be combined with a folk dance performance. Program can be ordered throughout the year. After a short sightseeing (Old Lake, Sigismund Castle, gardens) guests are welcomed with a bugle call and parade with banners in the Tata Riding School. Talk on local history in front of the Esterházy fireplace, then a horse show (show jumping, ribbon race, acrobatics). Lunch in the hunting lodge of the riding school carriage ride along the shore of Old Lake in the afternoon. Program can be ordered from 1.April to 31. October. 288 rooms with bath, TV (with satellite programmes), telephone, minibar, refrigerator. Restaurant, brasserie, cocktail bar, conference room, tennis court, fitness centre. Own car park. 12 rooms with bath, 40 rooms with shower, radio, TV (with satellite satellite programmes), telephone, minibar. Brasserie, cocktail bar. 102 rooms with bath, radio, TV (with satellite programmes), telephone, minibar. Restaurant, cocktail bar, night bar, covered pool next to hotel, tennis court. Car park. H-9021 Győr, Árpád u. 34. 175 rooms with bath, radio, TV (with satellite programmes), telephone, minibar, refrigerator. Restaurant, bar, conference room, fitness centre. Car park. H-9026 Győr, Hédervári út 22. 100 rooms with bath, radio, TV (with satellite programmes), telephone, minibar. Restaurant, conference room, sauna, solarium. Car park. H-7621 Pécs, Rákóczi u. 3. 113 rooms wih bath, radio, TV (with satellite programmes), telephone, minibar. Restaurant, bar, conference room. Supervised car parking. 188 rooms with bath, radio, TV (with satellite programmes), telephone, minibar, refrigerator. Restaurant, brasserie, winebar, coctail bar, night bar, conferenc e room, own beach, covered-pool, tennis court, fitness centre, “Recreation Centre” physiotherapy department, air-conditioning. Supervised car parking. 136 rooms with bath, 60 rooms with shower, radio, TV (with satellite programmes), telephone, minibar, refrigerator. Restaurant, brasserie, cocktail bar, conference room, covered-pool, tennis court, fitness centre, health serices. Car park. 16 rooms with bath, 3 rooms with shower, 23 rooms with washbasin, radio. Restaurant, cocktail bar, night bar. Car park. 100 rooms with bath, radio, TV, telephone, refrigerator. Restaurant, cocktail bar, night bar, conference room, business centre, tennis court. Cave-pool and public beach in vicinity of hotel. Car park. Visit to the Eger Castle, the casemates, the Turkish minaret, the Fazola wrought-iron gates and Dobó Square, the College and Cathedral. On request an organ concert can be arranged in the Basilica during the sightseeing. Visiting one of the most famous wine regions of Hungary, the Valley of the Beautiful Women – SZÉPASSZONYVÖLGY. Spend a memorable time there with wine and snacks evetually with lunch or dinner. Horse show in the home of the Lipizzan stud on the Bükk plateau, visit to the herd and the herd and the equestrian museum. Carriage rides. Hungarian lunch or supper. Program can be ordered throughout the year. Visit to the Avas church built in the 13th-15th centuries and the Diósgyőr Castle. Stroll in the famous resort of Lillafüred. Bathing in the cave baths aat Miskolctapolca. Wine sampling (40-60 cl wine) in the world famous wine region, in the wineries of Sárospatak or Tokaj, with the opportunity to buy wine. Snacks served in the cellar. Visit to the vineyard and bottling plant with an expert guide. Program can be ordered throughout the year. The Great Plant and the “puszta” remind visitours of the romantic life of past centures, the cattlemen and shepherds, the grazing herds of cattle and flocks of sheep which once roamed this countryside. Memories of this past age can now be found only in the national parks and there are also the traditional peasant dishes. Many visitours are also attracted by the workshoops and products of thfolk artists who still work in this region – potters, lacemakers, blue-dyers and woocarvers. 70 rooms with bath, 43 rooms with shower, radio, TV, telephone, minibar. Restaurant, café, casino, fitness centre. 45 rooms with shower, radio, TV (with satellite programmes), telephone, minibar, refrigerator. Restaurant, brasserie, cocktail bar, bowling alley. 18 rooms with bath, 24 rooms with shower, refrigerator. Restaurant, tennis court. Supervised car parking. 220 rooms with bath, 33 rooms with shower, radio, TV (with satellite programmes), telephone, minibar, refrigerator. Restaurant, brasserie, winebar, cocktail bar, night bar, disco, conference room, air-conditioning. Supervised car parking. Welcome in the Town Hall. Visit to the Kodály Insitute, the Folk Art and Local History Museum, the Games Museum and the Fancy Palace. Professional program for music teachers. Participation in a singing or music lesson. Video presentation on the life of Kodály and the Kodály method. Near Kerekegyháza at Ponrácz manor guests are received with fresh scones and palinka followed by a horse show. Tourists can also see the animals kept in the open air of the puszta. After the show tourists visit the live Vörösmarty farm by carts where the hosts receives the group with fresh doughnuts, wine and zither music. After this event the group returns to Pongrácz farm where the programme ends with Hungarian dishes and wines from the sandy soil of the plain. Welcome in the Kecskemét Town Hall (gifts), short sightseeing. In Bugac guests ride in peasant carts to the site of the horse show (games of horsemen’s skill, puszta five-in-hand), presentation of animals. Delicious puszta lunch in the Bugac Inn. Program can be ordered throughout the year. The Cut-throat Inn at Kunszentmiklós in the alkaline puszta of the Kiskunság National Park was once an important stage for rest and gathering news on the postal route between Budapest and Belgrade. The full-day program begins with a welcome in the Inn Museum, (“lángos” baked in a traditional oven, with sour cream, friut brandy, wine). Visit to the Virágh manor and the Selyem farm museum. Authentic hospitality with dishes made to shepherds’ recipes. Presentation of ancient Hungarian domestic animals (long-horned grey cattle, long-horned sheep, bacon pigs, crean-coloured halfred horses), carriage ride in the puszta. Program can be ordered throughout the year. Welcome and stroll in the small town that is almost a thousand (Chatedral with organ concert, Archbishops’ Palace, Paprika Museum). Lunch in the ferry inn of the archbishops’ estate (Aunt Juci’s Inn). The folk artist-housewives of Kalocsa demonstrate their skills-wall painting, embroidery, egg painting, sewing. Folklore performance with a lesson in folk dancing. Program can be ordered throughaut the year. Reception in the unique cellar village on the Great Plain, a stroll with dancing and music by the folk ensemble of Hajós with a glass “hung around the neck”, visit to a cellar with wine sampling. Folklore program with accordian accompaniment. Initiation of wine order pages. Supper in the Cabernet Inn. Program can ordered throughout the year. Visit to Széchenyi Square, the University, Cathedral Square and teh Cathedral, and the Synagogue. Stroll along the bank of the Tisza River, in warm weather bathing in the Tisza. Attendance at a performance, followed by supper in a fishermen’s inn with wine sampling. Reformed Great Church College, the University. Stroll in the nearby Great Forest. Visit to the Déri Museum. Equestrian program on the largest single expanse of puszta in Hungary. Carriage ride, horseherds’ display, stampeding the herd, glimpse into life on the puszta (herd of long-horned Hungarian grey cattle). Meal in the neo-classical Kadarcsi Inn. Program can be ordered from 1 May to 31 October. Due to its hydrogeological features, four fifths ofthe territory of Hungary is very rich in mineral and thermal waters. The Hungarian mineral and thermal water is a significant natural resource even in Europe. The bathing culture developed in Hungary goes back to the Roman and Turkish times. The number of thermal wells with a temperature over 30 C exceeds one thousand. Of those these days more than 400 are used for baths and 40 types of mineral waters are used to cure illnesses. We would like to introduce some popular and well known thermal hotels where, in addition to the medical treatment available to the guests, there is also a great choice of leisure programmes.